The video should start at the right time. If not, fast forward 69 seconds. 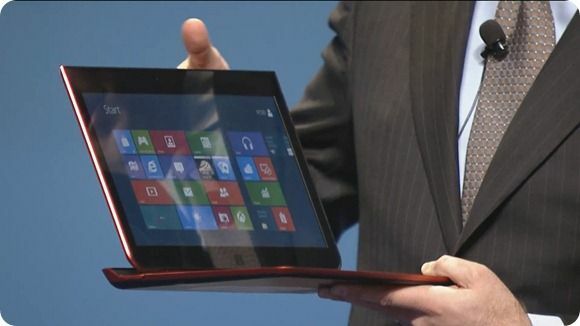 Seems very similar to one of the early Acer TabletPC models in how it is hinged. The Nikiski concept works too, but I haven’t heard anyone putting it into production. The same logic applies for this one. Until a manufacturer announces it, this is just a concept. I’m not doubting on the existence of Slider Ultrabooks in the future. But we can’t connect the concept model exactly to a product.